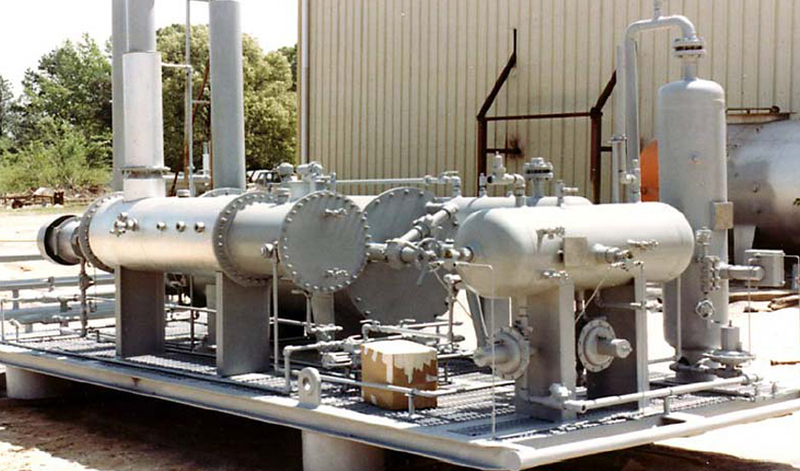 Vaprox offers both Two-Phase Fuel Gas Separators and Three Phase Fuel Gas Separators. The Vaprox Staff will meet with your Facility Engineers to custom design the Separator best suited for your application. As with any Vaprox products, you can be sure you are getting the absolute highest quality and reliability available on the market. Our two-phase and our three-phase fuel gas separator devices are second to none, and our quality is superb. Whether you are in the market for the two-phase or the three-phase variant, you can expect to receive the same top quality products that Vaprox is known for. At Vaprox, quality and safety is our number one concern. We work hard to make sure all of our products are created to meet all safety and regulation requirements. You know that when you are buying a durable, American built product when you go with Vaprox. We are dedicated to finding a solution to fit your exact needs, so feel free to give us a call at 855-582-7769 and we’ll be happy to accommodate you. Thank you for visiting Vaprox, your local source for Two-Phase and Three Phase Fuel Gas Separators. We also offer Dual Pressure Flares, and many other natural gas related products for purchase. Learn more on our about us page or if you have any questions about Quad 0 compliance, please visit our Quad 0 page.